The Vineyards is a renowned D.R. 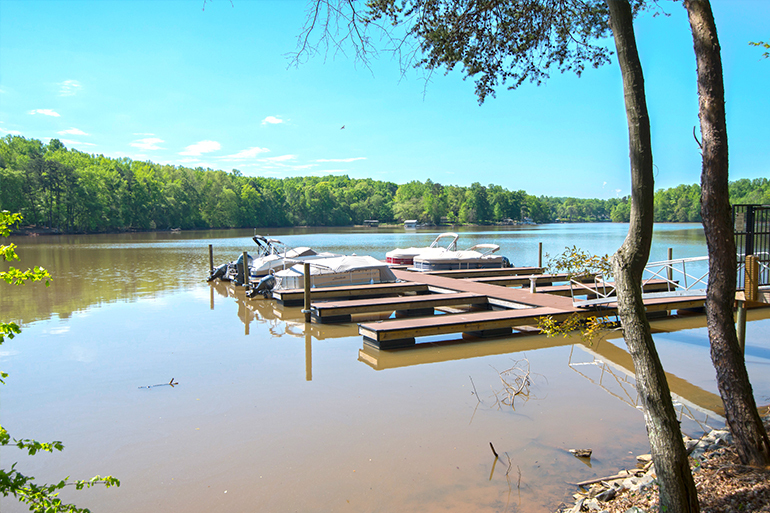 Horton community, located on the shores of Lake Wylie. While this community is not age-restricted and open to all home buyers, it is separated into two neighborhoods with distinct product lines. One neighborhood targets active adults with single-family ranch homes while the other is more suitable for family buyers with two-story floorplans. 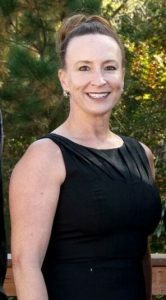 The Vineyards is considered to be in the Belmont area of Charlotte. Belmont is known for a quaint downtown with charming shops and restaurants. Enjoy a tranquil lifestyle while taking advantage of all the conveniences that uptown Charlotte has to offer, only 15 minutes away. 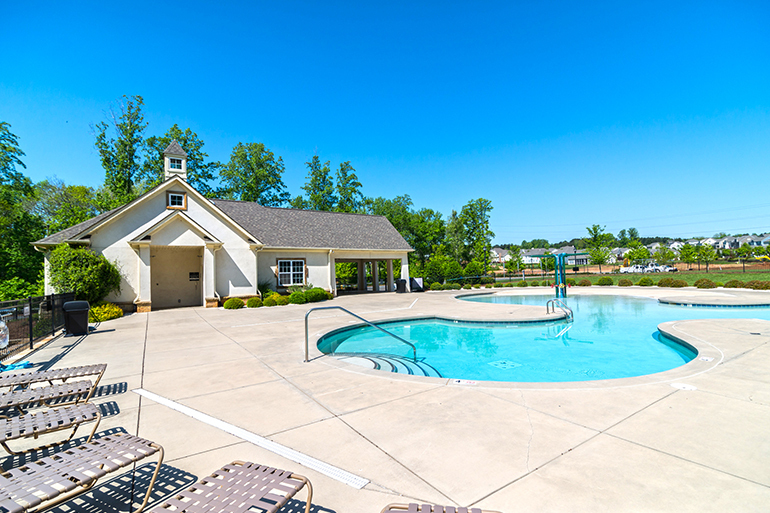 The Monterra Manor House, the 7,000 square foot clubhouse, is the focal point of this vibrant community and features a fitness center, grand ballroom, business center, and two outdoor pools. 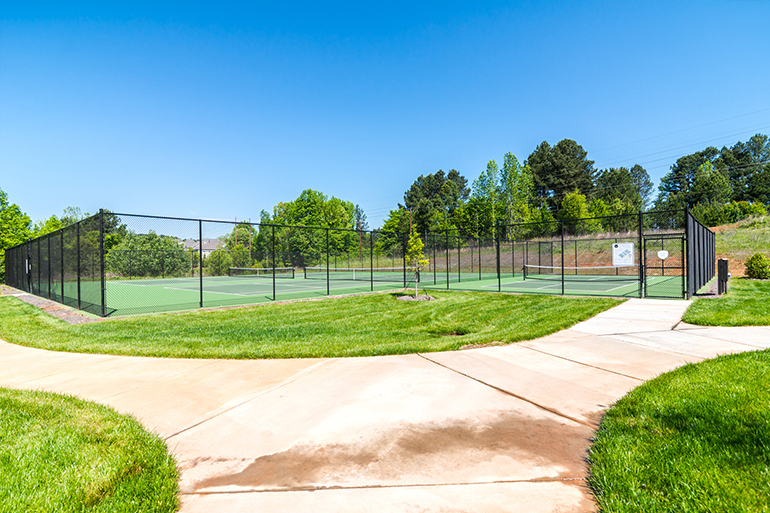 Enjoy tennis, bocceball, pickleball, and beach volleyball at the Sports Park. 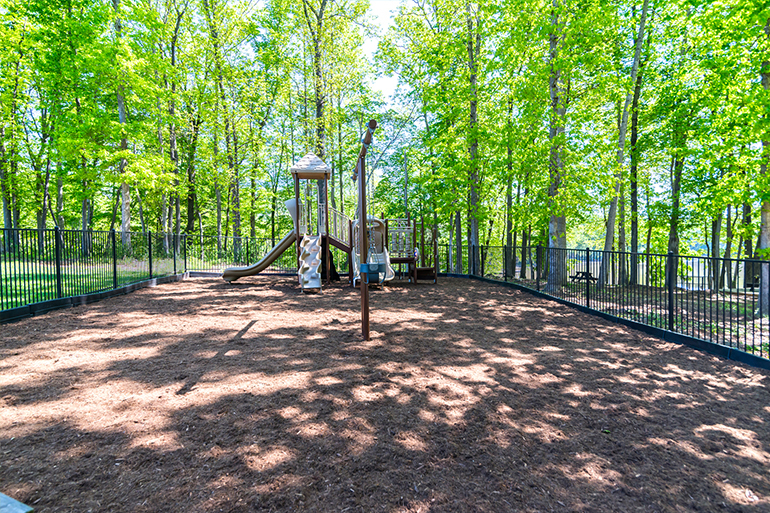 Throughout the community you will find an outdoor pavilion, a dog park, and over ten miles of walking trails. 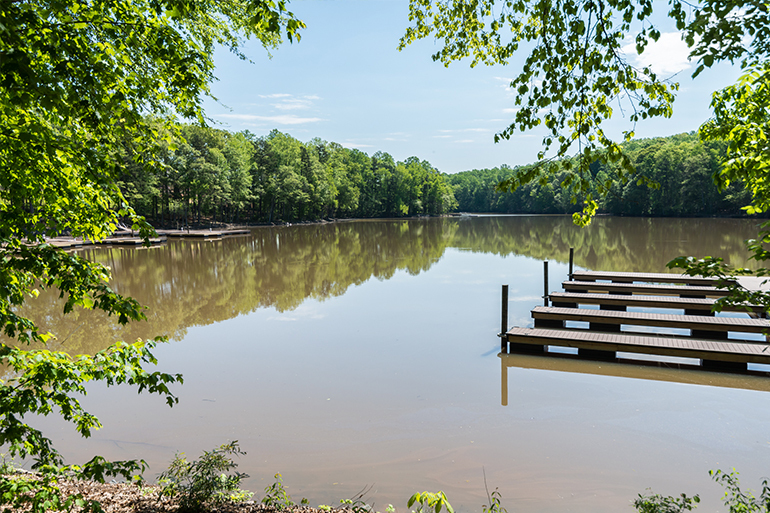 Residents have access to endless activities on Lake Wylie such as fishing, boating, and water sports. 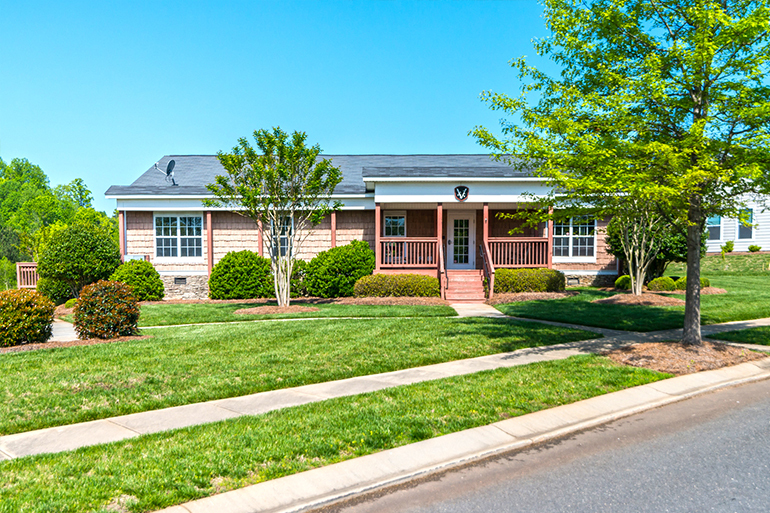 The Vineyards is conveniently located just three miles from Charlotte Douglas International airport. Popular activities include the National White Water Center and the Daniel Stowe Botanical Gardens. Southpark Mall and Northlake Mall are just 20 minutes away for all your shopping needs. D.R. Horton, one of the top home builders in the country, has been building in The Vineyards since 2007. There are two neighborhoods within the community, offering a wide variety of floorplans, some including up to five bedrooms. Homes range from 1,300 – 2,800 square feet and have a two car garage. Many desirable custom features and unique elevations are available. The Vineyards on Lake Wylie offer a wide variety of home styles including attached units and one – two story single family homes. 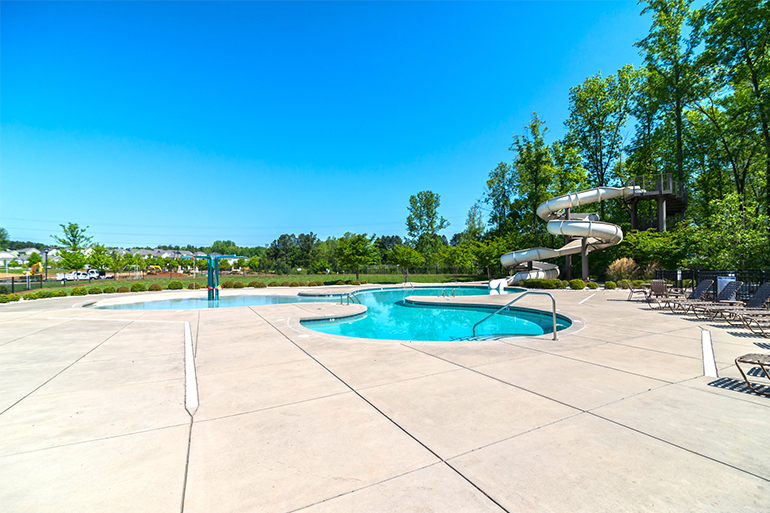 Resale Homes and New Homes are available in this community.